RICHMOND HEIGHTS, Mo. – John Gaskin III lives by the words of NAACP Chairman Roslyn Brock, “Courage will not skip this generation”. Lt. Col. 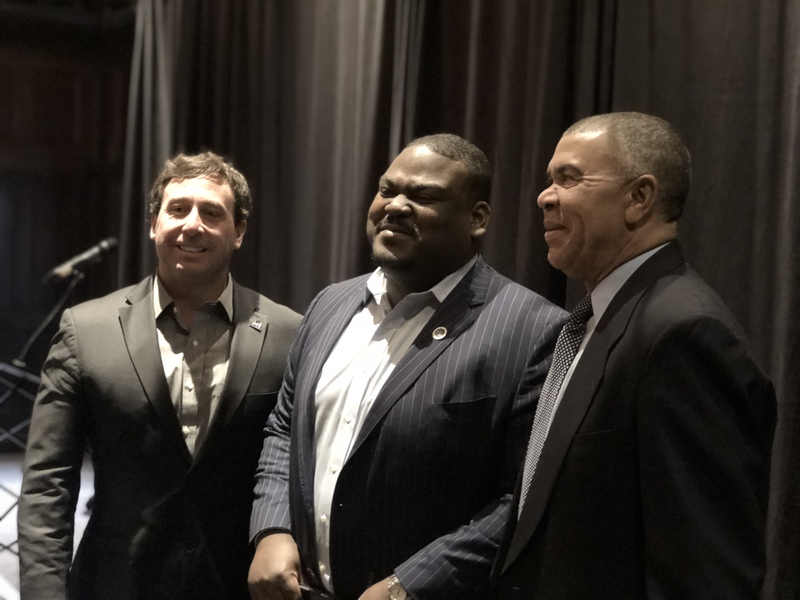 Troy Doyle, John Bowman, St. Louis County Executive Steve Stenger and 1st District Congressman Lacy Clay all spoke on behalf of the organization and the change in leadership – sharing their excitement for what is to come. Doyle said that he is excited for the opportunity to serve with Gaskin in restoring the criminal justice community. Bowman said that he is looking forward to working with the great leadership of the organization. Haywood served the NAACP for 50 years. For 20 of those years, she was on the Leadership Panel. Haywood was also President of St. Louis County NAACP. She has received national recognition for her commitment to youth and she is especially proud of the membership increase of the programming initiatives. Gaskin serves at the Regional Outreach Manager for Diversity and Inclusion at the St. Louis Economic Development Partnership. There, his role is focused on the engagement of entrepreneurs and other stakeholders in historically underrepresented communities. At the age of 26, Gaskin is the youngest member of the NAACP National Board of Directors. He serves on the finance, audit, Image Awards and Advocacy and Policy committees. For the past 8 years, Gaskin has served as the youngest Freedom Fund Dinner Chairman in the country. He grew the St. Louis County NAACP Branch’s Dinner to the third largest in the nation, drawing national speakers and honorees like CNN’s Wolf Blitzer, Congressman Emanuel Cleaver, Congresswoman Maxine Waters and U.S. Senator Kamala Harris. Gaskin became a national spokesperson for the NAACP during the civil unrest in Ferguson. He was featured regularly on national and international news outlets MSNBC, ABC, Fox News, BBC, The New York Times, Wall Street Journal and more. His editorials on race relations and economic equity have been featured in the Chicago Sun and Black Enterprise Magazine among others. He still appears as a commentator for CNN’s Situation Room, hosted by Blitzer, and is a frequent contributor on KMOX’s Reardon Round Table. Gaskin received his bachelor of science degree in political science from Benedictine College in Atchison, Ks. He is a Ladue Horton Watkins High School alum. During his time in high school, Gaskin served as the first African-American commencement speaker in the school’s 85-year history. Gaskin said that it was through Haywood’s leadership and his parents that he got involved with NAACP at the age of 9. Boon was a Regional Director for the Midwest Region IV. After retiring, she became President of the St. Louis County NAACP. Gaskin said that Boon was a mentor to him. Gaskin said that he hopes that his young age will send a message that the NAACP, both locally and nationally, is more relevant than ever before. 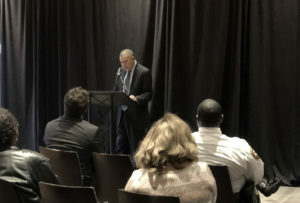 He announced that he has five areas that he immediately wants to focus on as the organization’s members work to address the dire social justice and civil rights needs of the region. Forming a County-wide Police Affairs Committee, chaired by Doyle has he works alongside all of the chiefs in the St. Louis County from all municipal police departments and the state highway patrol. Launching a new website, which will be more user and mobile friendly and allow individuals to file civil related complaints in a more secure way. 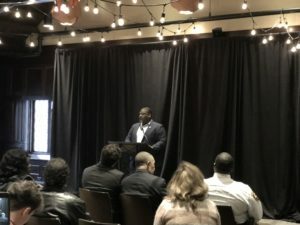 Partnership with SLATE and other St. Louis County’s work centers, as well as Harris-Stowe State University through the higher education task force. Launching of NAACP’s 2018-2019 ACT-SO Program, the Afro-Cultural Technological and Scientific Olympics. This program will include all St. Louis County school districts, grades 9-12, in the form of a local competition in categories of robotics, mathematics, chemistry, culinary arts, music and the humanities. Forming a Labor and Industry Committee, chaired by John Bowman of the UAW and vice-chaired by Clinton Harris from laborers. The committee will be putting together a three-part series of economic report cards on health care, construction and automobiles in the St. Louis County metropolitan region. The committee will also form a relationship with LaunchCode. 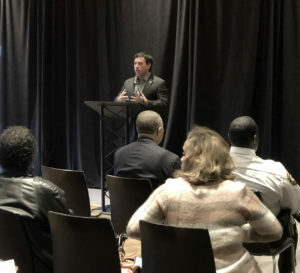 Gaskin said that it is the hope of NAACP that by working with groups, like the St. Louis County government, LaunchCode, Harris-Stowe University, Washington University, St. Louis Community College and the Missouri Restaurant Association, they will foster their goal of addressing a serious region-wide workforce diversity issue.